NICHOLS TREVOR JOHN Suddenly on January 31st. Funeral service to take place at Earlham Crematorium, Wednesday, February 20th, at 4.15pm. 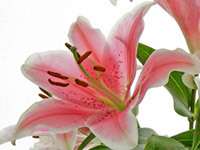 Family flowers only but donations, payable to Cancer Research UK, can be given at the service or sent c/o Norwich Funeralcare, 85 Unthank Road, NR2 2PE.